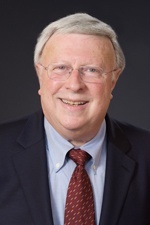 Mr. Alvin Goldman has more than four decades of experience in tax law in all aspects of federal income taxation, with particular emphasis in matters involving partnerships, joint ventures and limited liability companies, acquisitions and sales by corporations, and matters involving individual taxpayers. He also has significant legal experience representing developers and syndicators of apartment projects that qualify for low-income housing tax credits. Mr. Goldman joined Hinshaw & Culbertson LLP in May 2017. Previously, he was a tax partner, and most recently senior counsel, at the New York location of a global law firm which represented a broad range of businesses and individuals, including prominent financial services firms, insurance companies, multinational companies and emerging and closely held companies. Prior to that time, he worked with foreign individuals and entities who invested in U.S. real estate and businesses. Upon graduating top ten in his class from Columbia University School of Law, Mr. Goldman was a clerk for The Honorable Harold Medina (deceased), then U.S. Court of Appeals for the Second Circuit.